Shout! 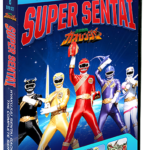 Factory announced two more Super Sentai DVD sets coming up for release back in May, and finally the later of the two sets has had it’s cover art revealed. The series which celebrated the 25th anniversary of the Super Sentai franchise is on the horizon, Hyakujuu Sentai Gaoranger! Hyakujuu Sentai Gaoranger: The Complete Series is scheduled for a December 18th release date according to Shout!’s website. You can pre-order the set directly through them HERE. Pre-orders through online retailer Amazon should also be going live in the coming weeks. As always, Shout!’s cover art is looking very sharp indeed. What do you think of it? Sound off in the thread below! Kamen Rider Build Super Battle DVD Announced- Featuring Kamen Rider Prime Rogue! Fan-favorite series Kamen Rider Build wraps up its run today but Toei is not ready to say goodbye to these characters just yet! Televi-Kun has released a trailer for a new Super Battle DVD release featuring everyone’s favorite midnight crocodile, Kamen Rider Rogue! In this new adventure, Rogue receives a new upgrade- trading the Sclash Driver for a Build Driver to become Kamen Rider Prime Rogue. This Super Battle is coming to DVD on October 5 2018! Stay tuned to TokuNation as we keep you up to date on all Kamen Rider reveals! Another special announcement for fans of obscure & old-school tokusatsu shows! 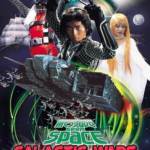 Discotek Media has officially announced a release for the 1978-79 series Message From Space: Galactic Wars. This series was a spin-off from the 1978 film Message From Space written by legendary tokusatsu godfather Shotaro Ishinomori himself! Unfortunately, price & release details for this set are unavailable at time of writing. Stay tuned to TokuNation as we keep you up to date on this rare endeavor! 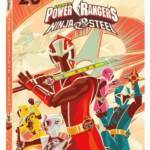 Power Rangers Ninja Steel Complete Series DVD Release Announced! The most recently-completed Power Rangers season is coming to home media! Lionsgate has announced a release of Power Rangers Ninja Steel: The Complete Series. Collected on three discs, this set will feature all 20 episodes of the Ninja Steel Power Rangers facing off against the warrior Galvanax and his team of monsters to possess the Ninja Nexus Prism. The cover art is done by George Caltsoudas, known for his work on Batman: The Animated Series and the “Star Trek: Boldly Go” graphic novel). Power Rangers: Ninja Steel will be released on August 14, 2018 for the suggested retail price of $19.98 and include an insert from the BOOM! Studios Artist Tribute book for Power Rangers. Click “Read More” for full details! 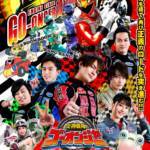 Engine Sentai Go-Onger 10 Year Grand Prix Trailer Online! Toei has uploaded a new trailer for the upcoming Super Sentai reunion film Engine Sentai Go-Onger- 10 Year Grand Prix! A decade since their last adventures together, the Go-Onger team has long been divided thanks to the Human Worlds’ Isolation Barrier. Worse yet, a new Sentai Activity Ban by the Ministry of Defense means that if the Go-Ongers appear again, they will be labeled as terrorists! A major incident will occur to reunite both the Human & Engine team members- while the old enemy Gaiark Clan is along for the ride as well! 10 Year Grand Prix is currently scheduled for release on September 26 2018! Shout! Factory Officially Announces Chojin Sentai Jetman Release- Coming September 25 2018! After a brief teaser last month, Shout! Factory has officially announced their next Super Sentai complete series release as none other than Chojin Sentai Jetman! 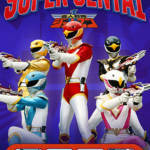 This is the first Super Sentai series to be released by Shout! Factory that predates the Power Rangers franchise- and if successful could lead to similar early Sentai releases. All 51 episodes of Chojin Sentai Jetman will be released on September 25 2018! The price is a very modest $47.97 USD. The good people at MMPRToys have revealed some surprising details about upcoming Super Sentai DVD releases from Shout! Factory. 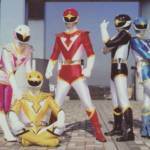 In a startling break with the current pattern, Shout!’s next release will be Chojin Sentai Jetman! This will be the first series PREDATING all Power Rangers adaptations, a move many fans did not expect. Jetman is tentatively scheduled for a September 2018 release! And not losing pace at all, Shout! Factory will resume the previous pattern of Super Sentai boxsets with their next release- Hyakuju Sentai GaoRanger! Adapted in 2002 to make Power Rangers Wild Force, this set is planned for a December 2018 release! Definitely some fantastic news for Super Sentai Shout! fans! Stay tuned to TokuNation for further details on these exciting new releases!